NO ONE has brand new copies of this book except us. That's because we wrote the book and we bought out our publisher of all the remaining copies. This is the first real guide to building a high performance Dodge Neon or SRT-4. This book has no advertising and provides unbiased advice as to how to get the most out of your car. Your copy will be signed by the author to you. Used copies are selling on Amazon for nearly $300 each! 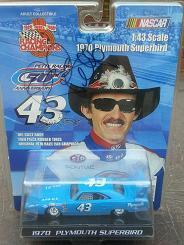 Excellent 1/64 scale (2" long) diecast. Comes with in a great collector display. 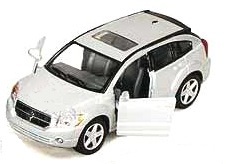 Great 1:18 scale, 9" long diecast with opening doors and hood with engine detail. 1:24 scale (approx. 7" long) diecast by Motormax. Opening doors and hood with engine detail with nice paint. Click for larger photo. This is a very high quality 1/43 scale diecast. It is approx 5" long with excellent detail and it is signed! Nice 10" long diecast by Maisto. Opening doors and hood with engine detail. Click for more photos. 1:18 scale (approx. 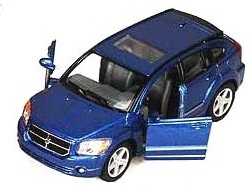 10" long) diecast by Motormax. Opening doors and hood with engine detail. Available in BLACK or BEIGE. Click for larger photo. Nice 1:43 scale (over 4" long) diecast by Maisto. 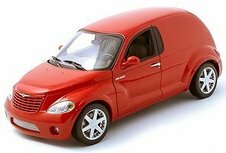 At 9" long, a nicer PT Cruiser has not been made in any scale. Opening doors, hatch and hood expose a detailed engine compartment and interior. Click for more photos. These diecasts are 5" long and have opening doors. Super Sale! This FULL COLOR book includes 30 how-to procedures. The projects range from appearance modifications, such as the application of a flame decal kit or customized gauge faces, to wheel and tire selection, suspension modifications, and a turbo or supercharger installation. Click for more photos and information. Road & Comparison tests, specs, model introductions, performance data. 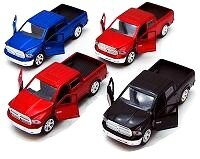 Models covered: Mitsubishi, Starion, Turbo, 2.0 & 2.6, LS, ES, ESI, ISI-R, Chrysler & Dodge, Conqest, TSi. 136 pages and 100 illustrations. Excellent book cov ering the history of Mopar. This hardcover coffeetable book has 352 pages and 350 color, 35 b/w photos. THIS BOOK WEIGHS 7 LBS!! Click for tons rmore info. High-Performance New Hemi Builder's Guide is the first book to address the new Hemi and will show you how to get the most out of your Hemi-powered ride. It explores the design of the new Hemi engine and explains how it can be modified and tuned. The book includes detailed, step-by-step nitrous and supercharger installs, tuning and electronic engine management issues, various camshaft and head options and modifications, and other bolt-on performance and appearance upgrades. Author Jim Szilagyi is a Performance Specialist for Dodge Motorsports and Mopar Performance Parts. In this book he covers building big-inchers from Mopar 318/340/360 -ci LA or Magnum 5.2-/5.9-liter engines, using both factory and aftermarket parts. If you want to make big power from your Mopar small-block, this is the book for you.